How to use VVDI MB to renew original keys for reuse? Home - Products - Download & Technical Support - How to use VVDI MB to renew original keys for reuse? As titled, possible to renew original keys for reuse with VVDI MB BGA Tool key programmer? and how? if BGA key, will not. 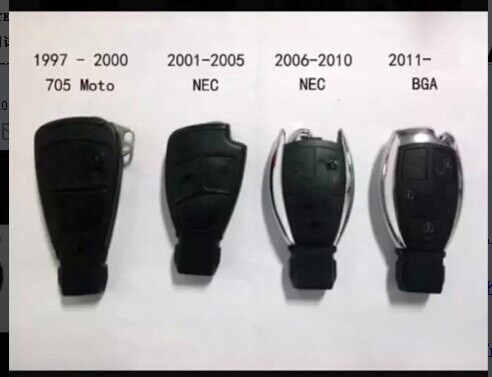 How many types of Mercedes NEC key? Here’s the guide on renewing NEC 57 key with VVDI MB Tool. Connect VVDI MB Tool with laptop and open latest VVDI MB software. Now you can start to virgin Mercedes NEC57! Select mode “NEC Adapter” then choose type “V51, V57”. 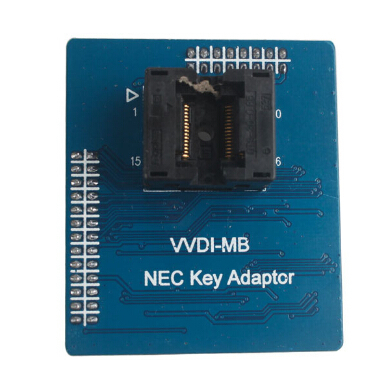 VVDI MB will read NEC V57 key info successfully! “Renew” to virgin NEC V57 key. Wait a while key erasing complete 100% and success! “Identification key” again and read key info to check if key is successfully erased. And you can see now key information is blank and things done!